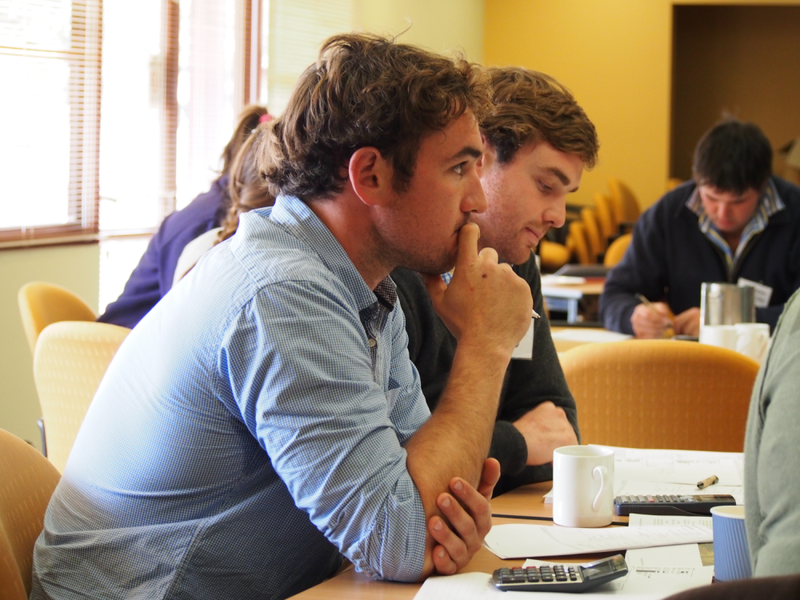 The Young Farmer Business Bootcamps are suited to young farm business managers and owners seeking to forge a successful career in the grain, sheep and beef industries. Bringing young farmers together, they will be tailored to the dry seasonal conditions being experienced across the Mallee and Wimmera. Warracknabeal, Thursday 7 and Thursday 21 February 2019. The day-long sessions will be delivered by Agriculture Victoria in conjunction with Paul Blackshaw from Meridian Agriculture, a state-wide agricultural consultancy business. They will run from 9.00am to 4.00pm, with lunch provided. Participants can expect to improve their understanding of profit and loss and cash flow budgeting, balance sheets and gross margins, planning for and managing risks, as well as financial planning and analysis. Agriculture Victoria Director, Dougal Purcell, said the bootcamps are an important part of the support Agriculture Victoria provides to farm managers. “We are delivering these events to support young farm owners and managers tackle the current conditions and think ahead to the longer-term direction of their businesses,” Mr Purcell said. “The target audience is very broad; we would love to see people up to around 45 years of age,” he said. Following the bootcamps, participants can access additional support to work through their own data. If you are unable to register online or would like further information, contact Sarah Wallis on (03) 5761 1573. For more information about drought assistance for Mallee/Wimmera farmers and dry seasonal conditions support go to Agriculture Victoria.